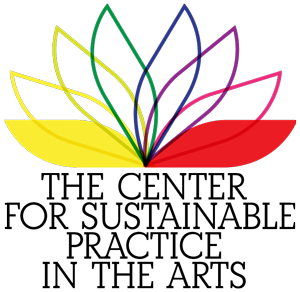 The Conference on Culture, Politics, & Climate Change is an event of the Center for Environmental Journalism at the University of Colorado Boulder, that takes place from the 13th to the 15th of September 2012. Which obstacles and opportunities are U.S. climate policymakers and scientists confronted with? Current issues of climate change will be focused at the International Conference on Culture, Politics and Climate Change. This will happen in a cross-disciplinary way, in order to look at the topic and at intersections between culture, politics and science from different viewpoints. 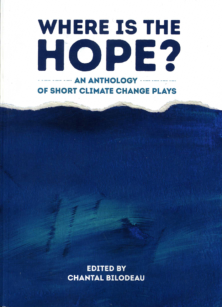 How can climate change be addressed on a national scale? Or should climate change rather be addressed on a global level? How is policy made and what is the role of state and non-state actors? How is meaning is derived from our shared culture? Especially in the U.S. the topic is relevant, all the more facing the national elections and ongoing international climate negotiations. The Call for Papers is addressed to presenters, who look at the communication of climate change in public and its effect on other cultural and political processes. Comparisons, with papers and panels on culture, politics and climate change in the U.S. and other countries are welcomed. The deadline for submissions and abstracts is January 10, 2012. 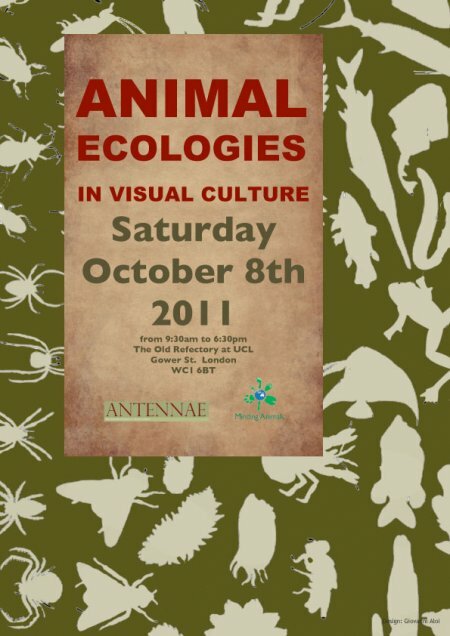 Antennae, the Journal of Nature in Visual Culture, and Minding Animals International, a ‘bridge between academia and advocacy,’ are hosting an event entitled Animal Ecologies in Visual Culture at University College London on Saturday 8 October 2011. Information also available on Facebook. Antennae’s website has all the back issues of the Journal available for download as pdfs. Themes include insects, taxidermy, Deleuze, plastic bags. Minding Animals has a range of networks, study groups and organises conferences. The symposium on October 8th 2011 at University College London proposes an exploration of artistic practices involved with animals and environments. In the recent re-surfacing of the animal in contemporary art, emphasis has been given to mammals, mainly because of the most immediate relational opportunities that these animals offer to us. However, a number of very interesting artists has been recently trying to bridge the abyss between ‘us’ and more ‘taxonomically remote’ creatures through the use of art and science as active interfaces. 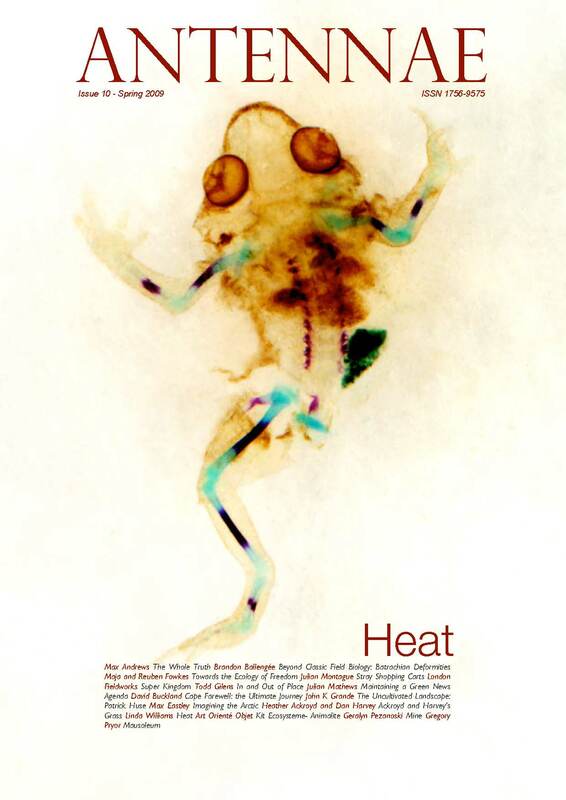 This new focus reveals the interconnectedness between humans, amphibians, reptiles and insects, and the environments in which we all live. Through a multidisciplinary approach, the symposium aims at facilitating a dialogue between artists, scientists and academics interested in informing wider audiences through visual communication. 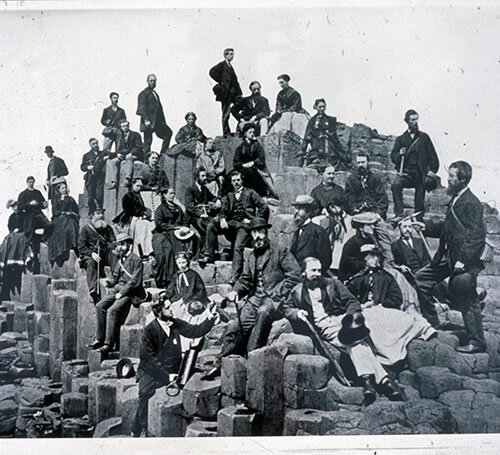 Speakers Include: Heather Ackroyd and Dan Harvey / Ron Broglio / Maja and Reuben Fowkes /Rikke Hansen / London Fieldworks / Joyce Salisbury / Linda Williams. See www.antennae.org.uk for registration. In mid 2008, the interpretation of visual culture was the core function of 1,184 Australian museum and gallery organisations. The results of $36 million dollars spent on delivering exhibitions in the 2007/08 year was enjoyed by millions of visitors from across the world, and generated nearly one billion dollars. Yet, despite this being an enormously productive and dynamic industry, there has been little research undertaken in the area of environmental sustainability for organisations who engage in the care and display of precious and rare objects. Cultural organisations, like many others, are addressing their impacts upon the environment, but the question has to be asked: how does this social revolution take place? Read the remainder of my paper presented at the 2010 Museums Australia Conference in Melbourne here. 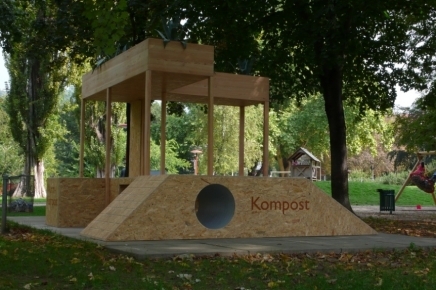 “Public Workspace Playscape Sculpture Loughborough” is a prototype for an outdoor public play/workstation, composting unit, a roof planter, wifi-hotdesking area and rocket oven. The design embodies 5 core concepts – play, organisation of the work place, DIY-eco design, defensive street furniture, and the public sphere. Creating an absurd prototype for a new kind of creative industry workstation, public sculpture and piece of street furniture. Expanding the work place into public space, conflating the modern factory space with the urban space of the public park. As innovations in creative industry workspaces ape those of traditional public spaces: The Agora, the Market Place, the Street and Boulevard so too the privatised and enclosed spaces of the city and its various civic spaces: the Museum, the University, the Park, etc begin to reproduce the conditions and design of the factory. With gates, surveillance, controlled usage, prescriptive recreational areas and productive activity zones. In order to capture and maximise those moments between work, those lost minutes having lunch,time-out, between class, walking home, weekends, cigarette breaks, family time… a new space and design is required to potentialise those seconds that are the elements of profit. Enclosing creativity and leisure, its activities and spaces, in order to harvest value. Nils Norman has developed his own mix of art and activism, examining histories of utopian thinking and ideas on alternative economic systems that can work within urban living conditions. via Artist Commission: Nils Norman – Loughborough University Arts. Antennae: The Journal of Nature in Visual Culture, was founded in September 2006 by Giovanni Aloi, a London-based lecturer in history of art and media studies. The Journal combines a heightened level of academic scrutiny of animals in visual culture, with a less formal and more experimental format designed to cross the boundaries of academic knowledge, in order to appeal to diverse audiences including artists and the general public alike. 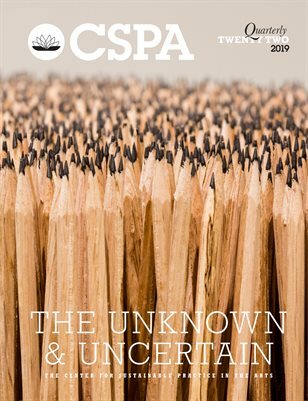 Ultimately, the Journal provides a platform and encourages the overlap of the professional spheres of artists, scientists, environmental activists, curators, academics, and general readers. It does so through an editorial mix that combines academic writing, interviews, informative articles, and discussions with an illustrated format, in order to grant accessibility to a wider readership. via Interview about Art and Sustainability « Sustainability and Contemporary Art.